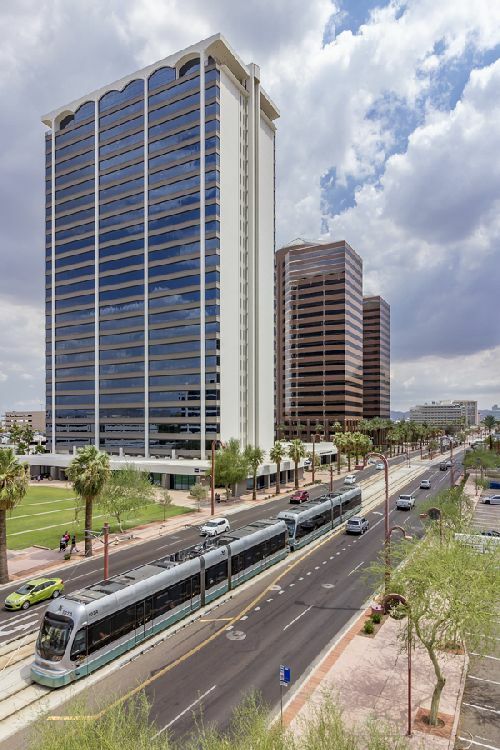 Balfour Pacific Capital Inc, out of Vancouver, B.C., Canada, acquired the iconic Phoenix Corporate Tower, a 457.9k sf, high-rise in Phoenix, for $42.34 mil ($92/sf). The 25-story building, located at 3003 N. Central Ave in Midtown Phoenix, features 17.8k sf floor plates that boast some of the metro areas most stunning views. Developed in 1964, Phoenix Corporate Tower has been upgraded and renovated multiple times since being built more than five decades ago. Recent improvements include conference facilities, a 180-seat auditorium, training rooms, a tenant lounge, collaborative work space and a newly renovated courtyard. The Phoenix office of Ryan Cos is managing Phoenix Corporate Tower, which was 66% occupied at the time of sale. Chris Toci and Chad Littell of Cushman & Wakefield, along with C&W leasing experts Dave Carder and Scott Boardman, represented the seller, Colony Financial, in this transaction. Carder and Boardman have been leasing the project and assisted in securing leases for more than 240k sf of the tenancy since 2012. “Anchored by the Department of Child Safety (DCS) in 130k sf, the acquisition of Phoenix Corporate Tower is an excellent entry opportunity for Balfour Pacific into the Phoenix market. Balfour Pacific is well-poised to capitalize on the extensive renovation program undertaken by previous ownership,” said Toci.